An affordable high quality goggle. 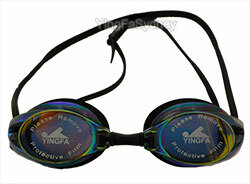 A stylish goggle with a black adjustable strap. Mirrored UV lens which are specially designed for outdoor use. Comes with an extra nose piece to ensure a perfect fit.